The Tai Chi for Arthritis for Fall Prevention Program is the same as Tai Chi for Arthritis program which was recommended by CDC and evidenced based. Both programs have exactly the same movements and incorporated tai chi principles for improving health and wellness, as well as proven effective for fall prevention. The former has even more emphasis on fall prevention while the later more on arthritis. Update – CDC Recommends Tai Chi for Arthritis for fall prevention. CDC recommends the Tai Chi for Arthritis program which is exactly the same as Tai Chi for Arthritis and Fall Prevention except the later has additional emphasis on fall prevention. Both programs are evidenced based to effective at preventing falls. U.S. Administration for Community Living Falls Prevention Grantee Tai Chi for Arthritis Information and Guidance. In addition to established manuals and consistent instructor training world-wide, the Tai Chi for Arthritis for Fall Prevention program is evidence based. The following are several examples. Similar to other western countries, the New South Wales Health Department of Australia experiences high costs related to injuries due to falls—far higher than from injuries of any other source including road trauma.iv In 2001, the Department funded the world’s largest fall prevention study in a community setting. The majority of participants were taught the Tai Chi for Arthritis program. This study found that recurring falls were reduced by nearly 70%. It also found that building confidence—a fundamental component of the Tai Chi for Arthritis program—correlates closely to the reduced rate of falling. This study was one of the two listed on the CDC official site as evidence of tai chi preventing falls. 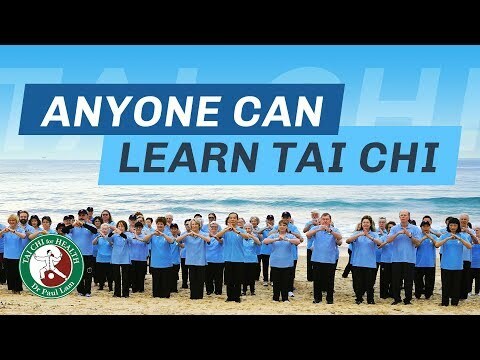 In addition to the New South Wales Health Department, the Aged Care Department in Victoria, the South Australia Health Department, among others around the world, have funded training for Tai Chi for Arthritis programs. Older people are more likely to fall which can cause serious injury. The causes of falls in the elderly include muscle weakness, poor balance and vision, lack of confidence at moving about and the effect of medication. Many studies have shown Tai Chi as being one of the most effective approaches for preventing falls. Read the Tai Chi for Fall Prevention article by Dr Lam et al. Several studies have shown Tai Chi for Arthritis effective at preventing falls. It works through improving balance, confidence and muscular strength. In 2000, the Accident Compensation Corporation (ACC) in New Zealand, a national government body that has a no-fault policy and compensates all accidents and injuries in the country, realised that prevention is often much cheaper than treatment. Their medical experts recommended using tai chi to prevent falls. ACC sponsors tai chi around the country as a preventative measure. By 2009, 80% of tai chi taught through ACC was Tai Chi for Arthritis. Different government departments in New South Wales, Victoria and South Australia also use this program for falls prevention and health promotion. For information or to order Dr Lam’s instructional DVD of the Tai Chi for Arthritis for Fall Prevention program click here.